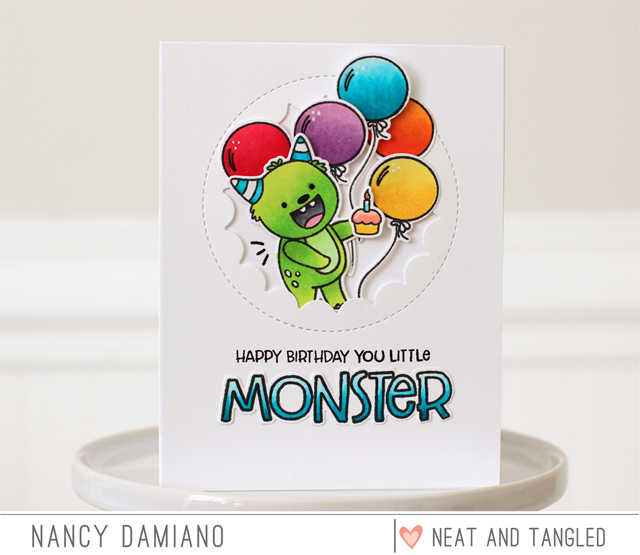 Just adorable Nancy - love how the balloons are popping over the circle die. Love the colorful little monster popping out of the circle! An inspired birthday card! Thanks for sharing your creativity. So cute and love the colors! So cute. I like the fun colors. Adorable!! 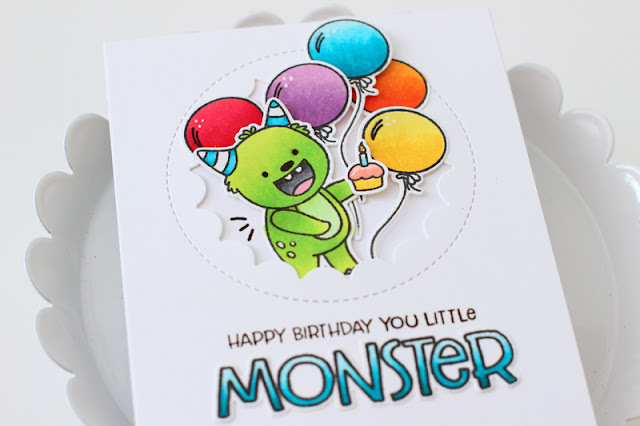 Love the monster and colorful balloons coming out out of the circle!! Darling card! Love the fun colors and that cute monster! That monster is just too cute! Anyone would love getting this card. It's so colorful with the balloons and the little cupcake...love it!! I can’t get enough of this adorable little monster with his huge smile. I like your color combo and the “monster” sentiment. I love the bright balloons. Thanks for sharing. So fun! Love how he is kind of popping out of the card! This is such a cute and festive card !! I love monster stamps, this is great!